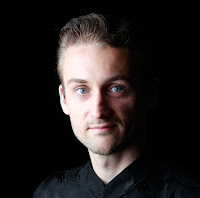 Giovanni Dientsmann is a meditation teacher, the writer behind the popular blog LiveAndDare.com, and the creator of the acclaimed Master Your Mind program. His work is to translate and “update” the tools and teachings of world-wide wisdom traditions so that they are easily digestible for the 21st-century person. What are your favorite apps and tools for mindfulness and meditation? My favorite meditation app is by far Insight Timer. They have the best meditation timer out there, and also a great community of teachers and practitioners. In terms of mindfulness tools, I actually have used both a FitBit and another bracelet called MeaningToPause. The purpose of them for me is having reminders throughout the day, in the form of a small vibration on my wrist. Then I’ll use that as a trigger to practice a “mini-meditation”, or to simply breathe deeply for 2 or 3 minutes. This makes a big difference. For many, it may be the missing link between a formal practice and daily life. You’ve made a decision to only check Facebook on Fridays. How is that working out for you? Do you have any additional suggestions for mindful technology use? I am very happy with it. Both for the sake of productivity and mindfulness, I think everyone should limit the use of social media, email and notifications. Otherwise we easily slip into a reactive mode of living, where we are constantly being distracted. Additional suggestions would be to limit the use of email to 2-3 times a day, and to turn off the notifications on your phone for all apps, except maybe messages and phone calls. In the beginning this may seem very hard, so try it only for 24 hours. You soon will experience the value of it. In a previous interview, Emmanual Ivorgba gave an overview of the history of Christian meditation. What are some ways that contemporary Christians can practice meditation? This usually involves the silent repetition of sacred words or sentences, with focus and devotion. Choose a sacred word from the Christian tradition, such as Lord, Father, Jesus, Mary, Abba, Mercy, or Love. The Aramaic word maranatha (“Come, Lord!”) is often used. For 10 to 30 minutes, repeat the sacred word. It shouldn’t be repeated only mechanically, but with focus and emotional content. Each repetition should be like a prayer. When thoughts or emotions arise, bring the mind back to the sacred word. Also “Lection Divina” or simply “contemplation”, this involves thinking deeply about the teachings and events in the Bible. On top of the silent repetition, some people also visualize scenes from the life of Jesus, or other biblical tales, in order to create a more engaged experience. The “Spiritual Exercises” of Saint Ignatius of Loyola are basically a more elaborate form of this, integrating additional elements. A silent meditation, usually preceded by contemplation or reading, in which we focus all our mind, heart and soul on the presence of God. When contemplative prayer or contemplative reading deepens, you may find yourself in a place of silent contemplation, where the discursive mind is silent, and there is a deep sense of “being one with the Lord” or of being “surrendered over” or being consumed in God’s love, and so on. In discursive contemplation, mind and imagination and other faculties are actively employed in an effort to understand our relationship with God. In silent contemplation, this activity is curtailed, so that contemplation has been described as “a gaze of faith”, or “a silent love”. This state of silent surrender can also be consciously practiced, by focusing all your mind, heart and soul on the thought of God, and in the feeling of the immanent presence of God. This in itself is a practice of meditation just like its Asian counterparts – it’s a type of “focused attention”, where everything else is cast aside, and only God is thought of and felt. It means to integrate present moment awareness and greater empathy in one’s teachings activities. This helps you be more effective as a teacher, by better connecting with the students. It also prevents burnout. I practice meditation around 2 hours a day, mostly in the morning. I also practice Yoga postures, pranayama (yogic breathing), and a few “mini-meditations” throughout the day. All this practice allows me to basically be in the best possession of my mind and emotions all the time. Blind emotional reactivity is a thing of the past for me, as is dwelling on destructive thought patterns. This of course makes me more effective at work and happier in my personal life.